TimeZone : IWC » Anyone experiene this issue? My Ingy 3228 has a small pin in each end of the case between the lugs. It seems to be spring loaded and the purpose is to hold the spring bar in place, which has a notch in it. The spring/pin in the case engages with the notch in the spring bar, to secure it. On one side mine seems to no longer "spring" out, so the pin does not engage. 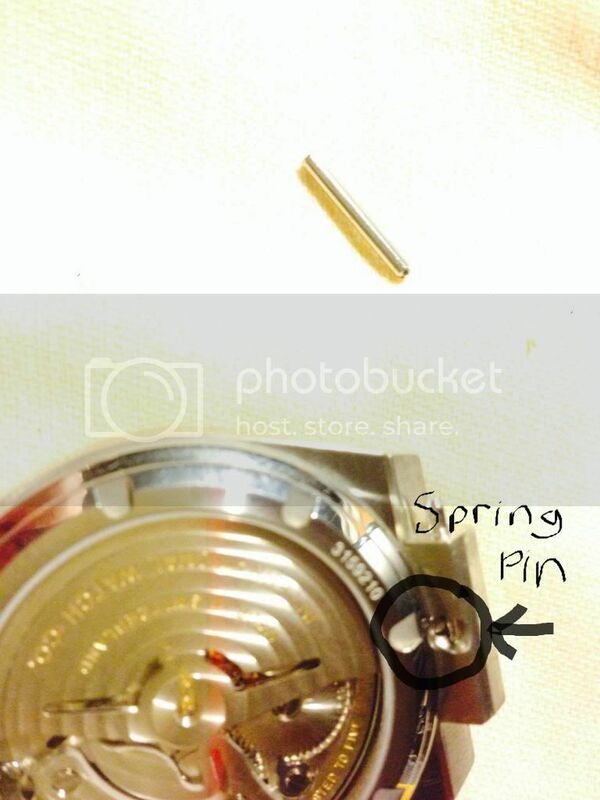 1) would this potentially cause the spring bar to come loose, thus possibly falling out and the bracelet coming off? Next Topic: Aquatimer WR campaign?